XV, 567 p., 17,6 x 24,5 cm. 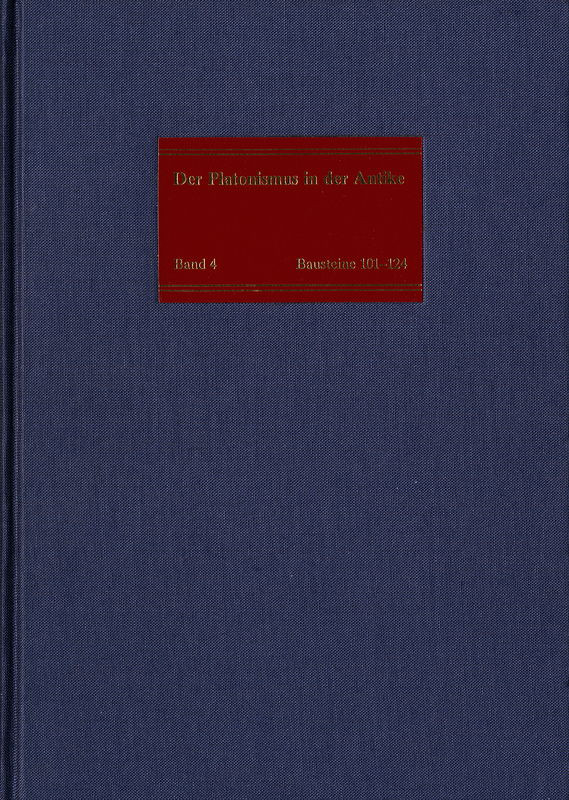 Following the description of the external history in Volumes 1-3, the teachings of Platonism are presented in the subsequent volumes. The fourth volume begins by dealing with some fundamental postulates. It questions the definition, the purpose and the classifications of philosophy (101-102) and then deals with the different types of being and non-being, their gradation and their acquisition by diairesis (103-106). It concludes with a presentation of the bond that ties it all together (107-110), based on Plato’s analogy of the sun and the divided line, the Analogia entis, »the analogy of being.«(107-110). The volume deals subsequently with natural philosophy and its principles (111-122) followed by an in-depth study of matter, (123-124), one of these principles.